Liberal activists and Democratic party faithful continue to blame Republicans for the failure of Congress to pass health care reform. These political operatives apparently failed basic math. 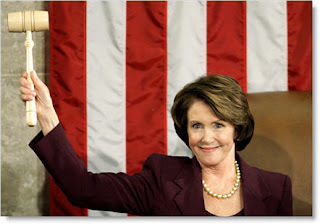 Democrats control the House of Representatives with 256 votes. It only takes 218 votes to pass legislation. Using some simple math, we find the Speaker and the President have 38 votes to spare in their quest for socialized medicine – at least in the House of Representatives. Democrats also control the Senate – with a filibuster proof majority. No GOP obstruction possible there either. So why hasn’t the President been able to get his way? Where are our new government health insurance cards? The dirty little secret is that the Democrats themselves are scared of Obama care and for good reason. Earlier today, Interior Secretary Ken Salazar testified before the House Budget Committee. You may recall that Secretary Salazar visited Fresno recently to hear your concerns and promised his full cooperation in resolving our water shortages. This hearing provided me an opportunity to follow-up on the Secretary’s promises and to inquire as to whether or not he would be seeking a re-consult on the biological decisions that have kept the Delta pumps from running. The Secretary refused to answer my question about a re-consult and instead implied that global warming was the reason we are experiencing shortages. He went on to say that there is no “man-made drought” and rebuked me as being unhelpful when describing the problem in this manner. Of course, the lack of water south of the Delta is the direct result of pumping restrictions imposed by our government – a man-made drought or government-imposed drought is the most descriptive way to describe the crisis. Click here for a short video of today’s hearing. Yesterday, House Democrats defeated my effort to force a vote on H.R. 3105 – the Turn on the Pumps Act. The Speaker used a procedural tactic to “table” my appeal for a vote – thus killing consideration of my bill. It is noteworthy that, despite the claims of bi-partisan support for returning Delta pumping to normal operations, only three Democrats – Rep. Griffith (D-Alabama), Rep. Kratovil (D-MA), and Rep. Minnick (ID) supported my bill on the House Floor. Not a single California Democrat voted in favor of the Turn on the Pumps Act (see how they voted). Meanwhile, communities across the Central Valley face severe water shortages – shortages that are also impacting Southern California. A video of the floor proceedings can be found on my YouTube Channel by clicking here. WASHINGTON – The House of Representatives on Thursday dismissed the latest public maneuver by Rep. Devin Nunes, R-Visalia, to summon attention to the San Joaquin Valley’s water shortage. By a nearly perfect party line vote of 249-179, the House blocked Nunes from bringing to the floor a bill removing restrictions from Sacramento-San Joaquin Delta pumping plants. The restrictions have been put in place to protect vulnerable species and habitat. Nunes has been increasingly blunt in his partisan appeals on the water issue, and he noted Thursday that “not a single California Democrat” supported his long-shot parliamentary tactic. Several committees have previously defeated Nunes in related efforts, either directly or by blocking his request to obtain a House vote. "Although there are some positive provisions in the current House Tri-Committee bill – including insurance for all and payment reform demonstration projects – the proposed legislation misses the opportunity to help create higher-quality, more affordable health care for patients. In fact, it will do the opposite. "In general, the proposals under discussion are not patient focused or results oriented. Lawmakers have failed to use a fundamental lever – a change in Medicare payment policy – to help drive necessary improvements in American health care. Unless legislators create payment systems that pay for good patient results at reasonable costs, the promise of transformation in American health care will wither. The real losers will be the citizens of the United States." Read the Mayo Clinic’s reaction to House Tri-Committee bill (click link). 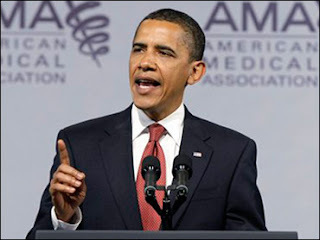 On July 16th, the American Medical Association endorsed legislation pending before the House of Representatives, H.R. 3200, the America’s Affordable Health Choices Act. As a member of the Health Subcommittee, and author of an alternative comprehensive health care reform bill, I was highly troubled by the AMAs decision. It violated the group’s longstanding commitment to oppose government control over health care and health decisions and may have significant repercussions as Congress moves forward with the reform debate. There are a number of issues associated with the AMA endorsed legislation that I call to your attention. Firstly, the bill wrongly expands the role of Medicare payment rates by including them in the “public option.” As you are aware, Medicare payments have not kept pace with the cost of delivering care. These payments are on average significantly below private insurance compensation and in many cases represent a fraction of private insurance compensation. While AMA believes the bill represents progress by updating the Medicare payment system for physicians, the improvements associated with the Sustainable Growth Rate do not resolve current disparities and will come with a productivity adjustment that will significantly impact future payment updates. Furthermore, the price physicians and other providers will pay will be enormous as the public option consumes the private insurance market and federal officials begin to implement coverage decisions that limit the ability of providers to care for their patients. The Democrat bill also expands Medicaid eligibility, a program with payments worse than Medicare and one that is characterized by access problems and poor health outcomes. This system of second class medicine should not be expanded, it should be replaced. Furthermore, both Medicare and Medicaid are heading toward insolvency – tens of trillions worth of unfunded liabilities according to the Congressional Budget Office. The establishment of a new public program will do nothing to improve the outlook of these programs and will simply pile more debt on future generations. I also note that government spending limitations associated with “public health plans,” including complex payment policies, have unfairly disadvantaged the Central Valley of California – a problem many local physicians have brought to my attention. Geographic disparities and program definition limitations are perpetuated by the AMA endorsed bill. While aspects of some programs are improved, they remain fundamentally flawed and unsustainable. Indeed, the entire plan is cleverly crafted to hide the full cost outside the 10 year budget window. Clearly, health care in America is in need of reform. But the premise that we do not spend enough today and that trillions in new spending will be needed defies common sense. We spend more on health care than any other industrialized nation and many are not receiving the fruits of that significant investment. Most Americans understand this fact but Congress is barreling down the road of vastly increasing spending nonetheless. Alternatives, including my bill – the Patients’ Choice Act – are not even being afforded time for debate. In addition to unjustified spending levels, the AMA endorsed legislation fails on a number of fundamental reform fronts. In an effort to improve the bill, I and other Republicans offered a number of amendments in the Ways and Means Committee. We tried to eliminate the public option. We sought to protect the doctor patient relationship from rationing or coercive reimbursement tactics. And we sought to address medical liability – an urgent issue of national significance. Each of our amendments was defeated along party lines. The new government plan will also exacerbate provider payment challenges which have served as a major impediment to patient access to appropriate medical treatment. As I have already mentioned, the legislation sets strict government plan reimbursement rates equal to Medicare which are 20 percent below those afforded providers by private plans. An independent research firm estimates that under this reimbursement structure, average physician reimbursements will decline by more than $16,000 annually. This unsustainable structure, according to the study, will raise private health insurance rates by $4,000 and starve medical practices of the necessary resources to provide quality care. We must reform our health care system to control costs and strive toward universal access to affordable care, but without stripping medical providers of power to decide appropriate courses of treatment or handing the reigns of our health care system to a bureaucratic machine geared toward arbitrary decision making instead of patient well-being. Republicans, including myself, have offered many alternatives. My plan, which is sponsored by Rep. Paul Ryan (WI) and Senators Richard Burr (SC) and Tom Coburn (OK), places the focus where it should be and allows Americans and their health professionals to make the very personal decisions needed to deliver the best health care in our country. Details are available on my website (www.nunes.house.gov/health) and I encourage you to submit your comments or suggested improvements. At a time when our health care system is facing an acute crisis, we cannot afford to allow haste to compromise our principles. I encourage you to disavow the AMA’s endorsement of this legislation and join me in working to enact health care reform that will serve all Americans. Read the Congressional Budget Office Director's complete prognosis of our nation's current and future budget challenges by clicking here. WASHINGTON — Sharp partisan conflict now divides the once-united San Joaquin Valley lawmakers who are seeking solutions to the region's water shortage. The simmering conflict boiled over Tuesday as two Valley Democrats blasted Republican Rep. Devin Nunes of Visalia for "grandstanding" in zealously pursuing water-delivery amendments. Nunes, in turn, asserted that his valley colleagues were "mesmerized" by liberal environmentalists. "This is baloney, to be doing this sort of thing," Rep. Dennis Cardoza, D-Merced, said of Nunes' approach. "I have had a number of my colleagues tell me they are fed up with it." Rep. Jim Costa, D-Fresno, added that Nunes has been "not helpful" with repeated water-related amendments that Costa characterized as grandstanding. Last week, Nunes had been invited to meet with Deputy Interior Secretary David Hayes and House Democrats to discuss Western issues. Nunes said Tuesday that he was "disinvited" to the meeting as a result of Democratic displeasure over his sharp-tongued rhetoric that often targets House Speaker Nancy Pelosi and what he invariably calls "radical environmentalists." Nunes insisted he remains "friends" with Cardoza and Costa, even as he dismissed their water-related efforts as inadequate. "My friends have been mesmerized," Nunes said Tuesday. "It's like they're under a spell of some kind. I hope they get their sea legs under them again and return to reality." Drought dominates the thinking of all three House members, as well as other lawmakers representing the San Joaquin Valley. Low precipitation along with judicial and regulatory decisions designed to protect endangered species and the Sacramento-San Joaquin Delta have combined to slash irrigation water deliveries. Nunes has attacked the problem by writing amendments that would cut off funding for some environmental decisions. One amendment would have blocked a National Marine Fisheries Service decision that cuts delta water deliveries by as much as 7 percent to protect endangered Chinook salmon and steelhead. The House rejected Nunes' original water-delivery amendment last month by a 208-218 margin. He has since tried several times to offer similar amendments, and has either been defeated or denied the chance to bring the amendment to the House floor. On Tuesday, Cardoza and other Democrats on the House Rules Committee rejected Nunes' latest bid to offer three water-related amendments to a fiscal 2010 energy and water funding bill. Instead, the rules panel permitted Costa and Cardoza to offer their own amendments when the House takes up the energy and water bill. In recent months, I have begun to sense a shift in the public’s attitude towards the environment and agriculture, and in particularly, how average folks feel about how scarce water supplies should be used to meet competing demands. We all want clean water, healthy forests and abundant fish and wildlife. But using questionable means to get there, and elevating fish and fur at the expense of family farmers and farm workers in these dire economic times is something that appears to be losing ground with the public and politicians. When you have elected officials willing to strongly and repeatedly stand up for those family farms, that trend can pick up momentum. The events that are transpiring in the Central Valley this year provide an interesting case study on this matter. Last month, the National Marine Fisheries Service (NMFS) released a new biological opinion that outlines changes the agency will require to the operation of state and federal water projects to protect salmon and other species under the Endangered Species Act (ESA). The NMFS opinion found that state and federal water pumping from California’s Bay-Delta system is contributing to the possible extinction of salmon, sturgeon, steelhead, and – to the dismay of many - killer whales. As a result, Delta water exports will be reduced 330,000 acre feet. This is above and beyond water reductions that have already been mandated due to the Delta Smelt by another federal agency –the USFWS – in December 2008. The opinion from NMFS triggered a firestorm of responses from elected officials, including Governor Schwarzenegger. U.S. Rep. Devin Nunes (CALIFORNIA) called the decision’s conclusion that linked the death of killer whales to San Joaquin water users “outrageous”, and with the support of Central Valley Democratic Congressmen Cardoza and Costa promptly introduced an amendment to the NMFS appropriations bill to over-rule the decision. This action brought what is happening in the San Joaquin Valley to the floor of the House, and generated impassioned arguments for and against the amendment. Rep. Nunes told the House that 40,000 farm workers have already been laid off due to the shortages caused by the delta smelt decision. He said the situation has now been compounded by the NMFS action that “blames cities and farms in California” for the plight of the killer whale. With lots of arms twisted that resulted in switched votes at the end, the final vote was 208-218 against the Nunes amendment, an exceptionally close vote on an ESA matter. Having this amendment considered by the House at all is a major achievement. In recent weeks, Rep. Nunes has brought similar amendments to key House committees, where the amendments were narrowly defeated. Rep. Nunes has threatened to keep offering similar amendments wherever possible. The important matter here is that elected officials and the general public are becoming aware that the ESA – a well-intentioned law with a noble purpose- can inflict very real wounds to average, hard-working Americans when it is wielded by litigious activist groups and narrowly focused federal agency biologists. Two weeks ago, thousands of farmers, farm workers and their supporters rallied in Fresno, calling on federal officials to ease environmental regulations. Another rally organized a few months earlier by the Latino Water Coalition drew 10,000 supporters and Gov. Schwarzenegger to San Luis Reservoir. A protest organized last week by well-funded environmentalists in Sacramento in support of fish, on the other hand, attracted just 200 participants. Elsewhere, a recent poll released by Colorado State University finds– throughout the West - that, when addressing long term water scarcity, average citizens prefer reservoir construction and reuse systems over other water acquisitions, and in particular, are not in favor of water transfers from agriculture. Could it be - as George Will recently suggested in a column he wrote for the Washington Post – that "the green bubble" has burst, pricked by Americans' intensified reluctance to pursue greenness at a cost to economic growth? Perhaps Will was right. Reengagement with reality is among the recession's benefits. In my ongoing effort to convince congressional Democrats that Californians need relief from a government imposed Dust Bowl, I have been offering amendments to a number of bills in Congress. These amendments have been straightforward (see an example), despite the efforts of Democrat leaders in Congress and the Obama administration to generate controversy and defeat them. If enacted, my amendments would prevent federal authorities from depriving Californians access to essential water supplies. Because of federal actions, as much as 500,000 acres are being forced out of production and, according to a recent forecast by economists at the University of California, Davis, more than 40,000 people will lose their jobs. In Washington this week, the moral bankruptcy and unconscionable heartlessness of congressional Democrats continues to rise to new levels. The party pretends to champion working families but backs the agenda of the radical environmental lobby instead. 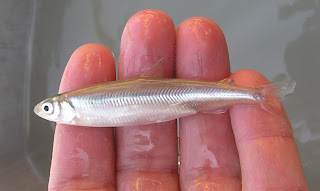 For the people of the San Joaquin Valley, the Democrat majority and the Obama administration have chosen the delta smelt, a three-inch minnow, over working families and intends to add salmon, sturgeon, killer whales, and steelhead to the list. This week we tried yet again to get the water flowing to the valley. Late Tuesday night, my friend from California, Ken Calvert, offered an amendment during an Energy and Water Appropriations (markup) meeting, which would have put on hold the biological decisions that have, and will continue to, shut down the delta pumps. The Congressional injunction would have given Congress time to implement a more permanent solution, which would protect families. A thirty minute debate followed, which included outrageous statements and outright threats (go to 6:28 of this video). Another member of the committee declared the Calvert amendment a “wish amendment.” That same member went on to threaten members of the committee that they will lose their earmarks if they support it. What do ocean wondering killer whales, which traditionally inhabit Puget Sound 700 miles to the north have to do with land-locked farmers in California? What does climate change have to do with 40,000 people out of work? What has changed for my Democrat colleagues? 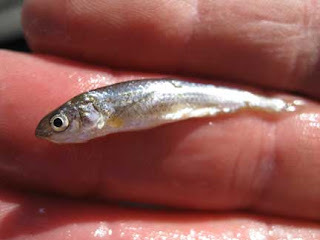 The Slivery Minnow and the Delta smelt are both three inch bait fish. “Wish” is certainly the right word to use — families in the San Joaquin Valley wish they had a government that would do its job and deliver water to them. Article 1, Section 8 of the United States Constitution says that the Congress shall have the power to provide for the general welfare of the United States. Congress has the basic responsibility to provide water to its citizens. Congress has abysmally failed in its constitutional duty. It has been 652 days since I warned of the government imposed Dust Bowl in California. Since then, the Democrat leadership of this country has sat back and watched the economy in the San Joaquin Valley deteriorate to the level of a third world country. Unemployment in the San Joaquin Valley of California is nearing 20% with some communities over 40%. It is simple: Stop valuing fish over families. Just turn on the pumps and restore the flow of water to the families of the San Joaquin Valley. Washington (KFSN) -- A new effort by Republican Congressman Devin Nunes to get more water to Valley growers has fallen short. Nunes and his supporters attempted to get the measure added as an amendment to an appropriations bill. Supporters of the measure gave committee members a bleak picture of the Central Valley. Representative Ken Calvert of Riverside introduced the measure saying, "The farming industry in my state is in a total freeze right now. 500 thousand acres are out of production. Total communities are shuttered down. All the storefronts out of business. " Calvert was trying to push the committee to approve an amendment that would have required the federal and state water projects to waive the Endangered Species Act, and guarantee Central Valley growers more water. Congressman Norm Dicks of Washington argued against the measure, saying the culprit is not the endangered species act, but climate change. "You're going to have more droughts. You're going to have higher temperatures and there's going to be less water, and those are going to be the problems we face and I think it's time for you guys over there who just groan, to face the reality of what we're up against as a country, and the world." But Congressman Tom Latham of Iowa said his sympathies were with the farmers and farm workers. "The endangered species are human beings in the Central Valley." In a satellite interview from Washington D.C. on Wednesday night, Congressman Devin Nunes of Visalia, who backed the bill says the effort to overturn environmental rules and give growers more water is getting stronger. "It's growing, we're getting national attention from this issue because it is so serious. This is a government created dust bowl." But Congressman Mike Honda of San Jose told the committee hard times were not a reason to pass the bill. "The example of the recession that's going on in the area, that we need to alleviate it by releasing more water, it's just not that way." The measure failed on a vote of 31 to 25. Only three Democrats on the committee supported it. Nunes says another effort to get the amendment tacked onto another bill will continue Thursday. Tonight, House Appropriations Committee Democrats defeated an amendment I offered that would have restored water deliveries to dry San Joaquin Valley communities. While the vote was disappointing, we are gaining important public attention and increasing traction in our efforts. We have put Democratic leaders on the defense and on notice - the American people are watching. I have uploaded video of tonight’s debate and vote. Click here to view the footage on my YouTube Channel.